Please contact tyler@ssdp.org to suggest additions to this page. This list is by no means comprehensive. Another excellent resource is the Lindsmith Library, a great place to find drug policy books and Drug Policy Alliance publications. by Howard Rahtz Forty years ago, President Richard Nixon declared a “war on drugs.” Since that time, the country has incarcerated thousands of citizens and spent billions of dollars, and yet the drug problem rolls on. Today, the illegal drug market funds international terrorism, the horrific drug war on the Mexican border, and the senseless violence plaguing our communities, large and small. It is past time for a new direction. This book provides a drug policy framework that will choke off the revenue supporting the illegal drug market. Howard Rahtz outlines a series of drug policy steps buttressed by a historical review of drug policy measures, a review of international efforts against trafficking, and a clear understanding of the dynamics of addiction and its role in facilitating the illegal drug market. For more info, visit Howard Rahtz’s website or Facebook page. by Mike Gray In a riveting account of how we got to this impasse — discriminatory policies, demonization of users, grandstanding among both lawmakers and lawbreakers — conventional wisdom is turned on its head. Rather than a planned assault on the scourge of addiction, the drug war has happened almost by accident and has been continually exploited by political opportunists. A gripping account of the violence, corruption, and chaos characterizing the drug war since its inception, Mike Gray’s incisive narrative launches a frontal attack on America’s drug orthodoxy. His overview of the battlefield makes it clear that this urgent debate must begin now. 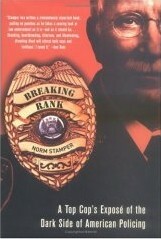 by Norm Stamper (LEAP) Norm Stamper introduces us to the violent, secret world of domestic abuse that cops must not only navigate, but which some also perpetrate. Former chief of the Seattle police force, Stamper goes on to expose a troubling culture of racism, sexism, and homophobia that is still pervasive within the twenty-first-century force; then he explores how such prejudices can be addressed. He reveals the dangers and temptations that cops face, describing in gripping detail the split-second life-and-death decisions. Stamper draws on lessons learned to make powerful arguments for drug decriminalization, abolition of the death penalty, and radically revised approaches to prostitution and gun control. 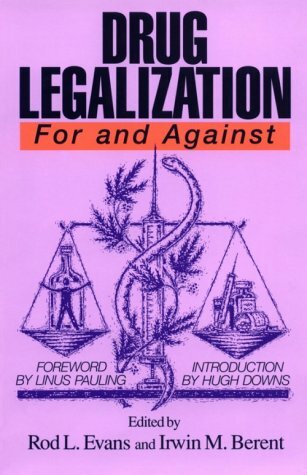 by Irwin Berent, Rod Evans, Hugh Downs, & Linus Pauling Should drugs be legalized? This collection gives both sides of the argument, with 24 selected articles by 23 well-known participants in the great debate. All the relevant issues are covered, including: comparisons with legal drugs like alcohol, caffeine, and nicotine; law enforcement problems, addiction rates; moral dilemmas, and the results of practical experience with Prohibition and other anti-drug policies. by A. Rafik Mohamed & Erik D. Fritsvold Why do affluent, upwardly mobile college students – who have everything to lose and little to gain – choose to sell drugs? Why do law enforcement officers largely overlook drug dealing on college campuses? 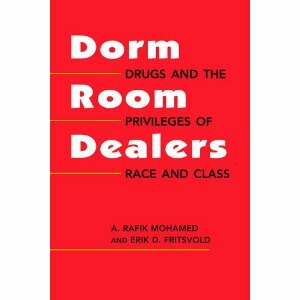 With rich, lively details, A. Rafik Mohamed and Erik Fritsvold deliver unprecedented insight into the world of college drug dealers – and offer an important corrective to the traditional distorted view of the US drug trade as primarily involving poor minorities. Drawing on three years of fieldwork at a predominately white private university, their exceptional ethnography skillfully explores issues of deviance, race, and stratification in the US war on drugs. The book offers novel insight into the world of college drug dealers, exploring issues of deviance, race, and stratification in the US War on Drugs. by Ryan Grim Journalist Ryan Grim will take you on a cross-country tour of illicit drug use in the U.S.-from the agony (the huge DEA bust of an acid lab in an abandoned missile silo in Kansas) to the ecstasy (hallucinogens at raves and music festivals). Along the way, Grim discovers some surprising truths. Did anti-drug campaigns actually encourage more drug use? Did acid really disappear in the early 2000s? And did meth peak years ago? Did our Founding Fathers-or, better yet, their wives-get high just as much as we do? Not since Eric Schlosser ventured underground to marijuana’s black market in Reefer Madness has a reporter trained such a keen eye on drugs and culture. A powerful and often shocking history of one of our knottiest social and cultural problems, This is Your Country on Drugs leads you on a profound exploration of what it means to be an American. by Mark A. R. Kleiman Since the crime explosion of the 1960s, the prison population in the United States has multiplied fivefold, to one prisoner for every hundred adults–a rate unprecedented in American history and unmatched anywhere in the world. Even as the prisoner head count continues to rise, crime has stopped falling, and poor people and minorities still bear the brunt of both crime and punishment. 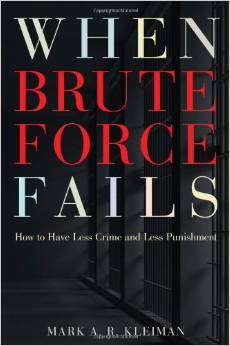 When Brute Force Fails explains how we got into the current trap and how we can get out of it: to cut both crime and the prison population in half within a decade. 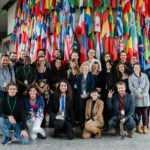 by Stephen Rolles There is a growing recognition around the world that the prohibition of drugs is a counterproductive failure. However, a major barrier to drug law reform has been a widespread fear of the unknown—just what could a post-prohibition regime look like? 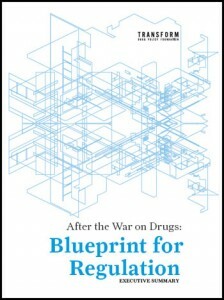 For the first time, ‘After the War on Drugs: Blueprint for Regulation’ answers that question by proposing specific models of regulation for each main type and preparation of prohibited drug, coupled with the principles and rationale for doing so. We demonstrate that moving to the legal regulation of drugs is not an unthinkable, politically impossible step in the dark, but a sensible, pragmatic approach to control drug production, supply and use. by Steve Fox, Paul Armentano, & Mason Tvert Nationally recognized marijuana-policy experts Steve Fox, Paul Armentano, and Mason Tvert compare and contrast the relative harms and legal status of the two most popular recreational substances in the world–marijuana and alcohol. 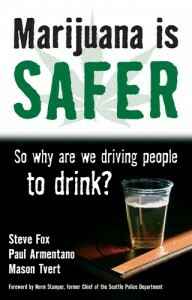 Through an objective examination of the two drugs and the laws and social practices that steer people toward alcohol, the authors pose a simple yet rarely considered question: Why do we punish adults who make the rational, safer choice to use marijuana instead of alcohol? 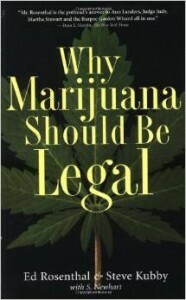 For the millions of Americans who want to advance the cause of marijuana-policy reform–or simply want to defend their own personal, safer choice–this book provides the talking points and detailed information needed to make persuasive arguments to friends, family, coworkers, and elected officials. 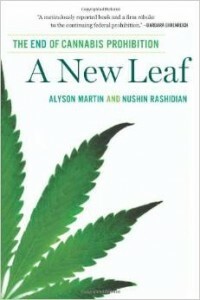 by Alyson Martin and Nushin Rashidian In the first book to explore the new landscape of cannabis in the United States, investigative journalists Alyson Martin and Nushin Rashidian present a deeply researched, insightful story of how recent developments tie into cannabis’s complex history and thorny politics. Reporting from nearly every state with a medical cannabis law, Martin and Rashidian enliven their book with in-depth interviews with patients, growers, doctors, entrepreneurs, politicians, activists, and regulators. They whisk readers from the federal cannabis farm at the University of Mississippi to the headquarters of the ACLU to Oregon’s “World Famous Cannabis Café.” They present an expert analysis of how recent milestones toward legalization will affect the war on drugs both domestically and internationally. The result is an unprecedented and lucid account of how legalization is manifesting itself in the lives of millions. by Andrew Weil, M.D & Winifred Rosen Dr. Weil is a Harvard medical school graduate who has spent his life researching various cultures’ use of drugs. 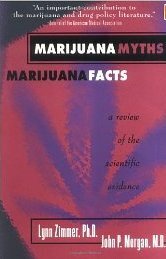 This enormously popular book — the best and most authoritative resource for unbiased information about how drugs affect the mind and the body — covers a wide range of available substances, from coffee to marijuana, antihistamines to psychedelics, steroids to smart drugs, and discusses likely effects, precautions, and alternatives. 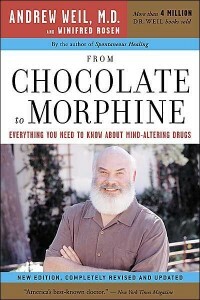 Now expanded and updated to cover such drugs as oxycontin, Ecstasy, Prozac, and ephedra and to address numerous ongoing issues, including the United States’ war on drugs, marijuana for therapeutic use, the overuse of drugs for children diagnosed with ADHD, and more, From Chocolate to Morphine is an invaluable resource. by Ernest Drucker When Dr. John Snow first traced an outbreak of cholera to a water pump in the Soho district of London in 1854, the field of epidemiology was born. Ernest Drucker’s A Plague of Prisons takes the same concepts and tools of public health that have successfully tracked epidemics of flu, tuberculosis, and AIDS to make the case that our current unprecedented level of imprisonment has become an epidemic. Drucker passionately argues that imprisonment—originally conceived as a response to the crimes of individuals—has become mass incarceration: a destabilizing force, a plague upon our body politic, that undermines families and communities, damaging the very social structures that prevent crime. 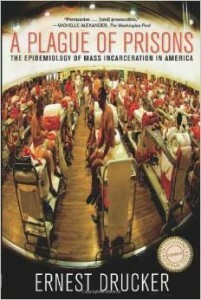 Described as a “towering achievement” (Ira Glasser) and “the clearest and most intelligible case for a reevaluation of how we view incarceration” (Spectrum Culture), A Plague of Prisons offers a cutting-edge perspective on criminal justice in twenty-first-century America that “could help to shame the U.S. public into demanding remedial action” (The Lancet). by Ed Rosenthal & Steve Kubby Marijuana hit mainstream America over 30 years ago and has been accepted by a large segment of society ever since. Despite government efforts to isolate and eliminate its use, it is more popular now than ever. Why Marijuana Should Be Legal analyzes the effects of marijuana and marijuana laws on society. The book addresses the drug’s industrial and medical applications, preserving our Constitutional rights, economic costs, health effects, and sociological aspects. New and updated information includes how state officials are acting against the legalization of marijuana and how U.S. marijuana laws are based on inaccurate and outdated information. In discussing such issues and many more, the book presents clear, documented evidence for all of its conclusions. Also included is an annotated list of organizations that lobby for change of marijuana laws. 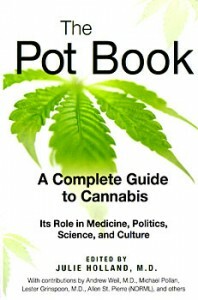 Julie Holland, M.D., Editor Exploring the role of cannabis in medicine, politics, history, and society, The Pot Book offers a compendium of the most up-to-date information and scientific research on marijuana from leading experts. Encompassing the broad spectrum of marijuana knowledge from stoner customs to scientific research, this book investigates the top ten myths of marijuana; its physiological and psychological effects; its risks; why joints are better than water pipes and other harm-reduction tips for users; how humanity and cannabis have co-evolved for millennia; the brain’s cannabis-based neurochemistry; the complex politics of cannabis law; its potential medicinal uses for cancer, AIDS, Alzheimer’s, multiple sclerosis, and other illnesses; its role in creativity, business, and spirituality; and the complicated world of pot and parenting. As legalization becomes a reality, this book candidly offers necessary facts and authoritative opinions in a society full of marijuana myths, misconceptions, and stereotypes. by Jacob Sullum Jacob Sullum goes beyond the debate on legalization or the proper way to win the “war on drugs,” to the heart of a social and individual defense of using drugs. 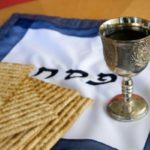 Saying Yes argues that the all-or-nothing thinking that has long dominated discussions of illegal drug use should give way to a wiser, subtler approach exemplified by the tradition of moderate drinking. by Glenn Greenwald On July 1, 2001, a nationwide law in Portugal took effect that decriminalized all drugs, including cocaine and heroin. 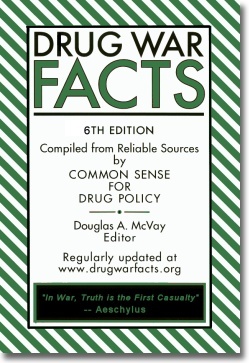 Under the new legal framework, all drugs were “decriminalized,” not “legalized.” Thus, drug possession for personal use and drug usage itself are still legally prohibited, but violations of those prohibitions are deemed to be exclusively administrative violations and are removed completely from the criminal realm. Drug trafficking continues to be prosecuted as a criminal offense. 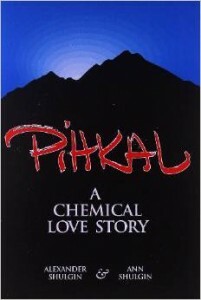 by Alexander & Ann Shulgin TiHKAL is a 1997 book written by Dr. Alexander Shulgin and Ann Shulgin about a family of psychoactive drugs known as tryptamines. 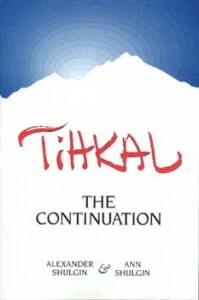 A sequel to PiHKAL, the full title of the book is Tryptamines I Have Known And Loved: The Continuation. by Daniel Pinchbeck While psychedelics of all sorts are demonized in America today, the visionary compounds found in plants are the spiritual sacraments of tribal cultures around the world. From the iboga of the Bwiti in Gabon, to the Mazatecs of Mexico, these plants are sacred because they awaken the mind to other levels of awareness–to a holographic vision of the universe. 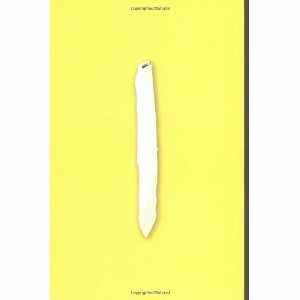 Breaking Open the Head is brave participatory journalism at its best, a vivid account of psychic and intellectual experiences that opened doors in the wall of Western rationalism and completed Daniel Pinchbeck’s personal transformation from a jaded Manhattan journalist to shamanic initiate and grateful citizen of the cosmos. by Andy Letcher The world of the magic mushroom is a place where shamans and hippies rub shoulders with psychiatrists, poets, and international bankers. Since its rediscovery only fifty years ago, this hallucinogenic fungus, once shunned in the West as the most pernicious of poisons, has inspired a plethora of folktales and urban legends. 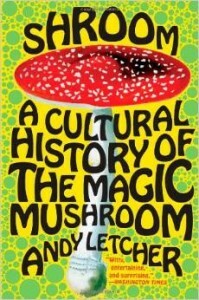 In this timely and definitive study, Andy Letcher chronicles the history of the magic mushroom—from its use by the Aztecs of Central America and the tribes of Siberia through to the present day—stripping away the myths and taking a critical and humorous look at the drug’s more recent manifestations. by Susie Byrd and Beto O’Rourke The War on Drugs doesn’t work. This became obvious to El Paso City Representatives Susie Byrd and Beto O’Rourke when they started to ask questions about why El Paso’s sister city Ciudad Juárez has become the deadliest city in the world—8,000-plus deaths since January 1, 2008. Byrd and O’Rourke soon realized American drug use and United States’ failed War on Drugs are at the core of problem. In Dealing Death and Drugs—a book written for the general reader—they explore the costs and consequences of marijuana prohibition. They argue that marijuana prohibition has created a black market so profitable that drug kingpins are billionaires and drug control doesn’t stand a chance. Using Juárez as their focus, they describe the business model of drug trafficking and explain why this illicit system has led to the never-ending slaughter of human beings. Their position: the only rational alternative to the War on Drugs is to end to the current prohibition on marijuana. 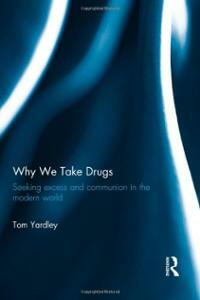 by Tom Yardley In older cultures, the use of intoxicant drugs was integrated into the rhythms of social existence and bounded by rituals and taboos that ensured their dangerous forces were contained and channelled. In modern western societies, by contrast, the state and the institutions of society have washed their hands of any responsibility for assimilating the desire for intoxication into social existence, and by doing so have sponsored a free-for-all that has often had disastrous consequences for individuals and communities alike. Why We Take Drugs provides a timely intervention in the growing debate about the wisdom of the ongoing ‘war on drugs’. 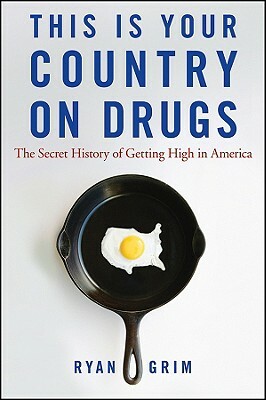 Rather than adopting the assumption that drug and alcohol use is a problem that poses a threat to society, this book makes a case for the idea that society is a problem for intoxicant drug use and that it is society that poses a threat, by denying those who seek intoxication a legitimate and socially sanctioned space in which to experience these altered states. Scholarly yet approachable, it provides a new understanding of the meaning and role of intoxicant drug use in contemporary society, setting an in-depth phenomenological analysis of intoxication as an embodied experience within a wide sociological, anthropological and historical context. These ideas are brought to life by intimate and revealing accounts of ordinary drug users’ experiences with a wide range of substances. 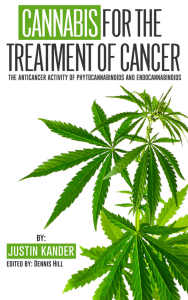 by Justin Kander Cannabis For the Treatment of Cancer extensively analyzes the scientific and anecdotal evidence showing how cannabis extracts fight cancer. Dozens of peer-reviewed studies using cells and animals have indicated that phytocannabinoids like THC and CBD kill or inhibit virtually all major types of cancer. As importantly, our own self-made endocannabinoids like anandamide have been shown to kill cancer cells through similar mechanisms as phytocannabinoids. For at least the past eight years, a growing number of doctors, dispensaries, corporations, caregivers, and patients themselves have reported remissions from the use of high-dose cannabinoid therapy. Medical documentation of terminal cancer patients in remission is included in the book. by Marguerite Arnold In addition to covering major events in political, legal, regulatory, financial and medical reform, the book also examines the nascent legalizing industry. Interviews with founders and leaders of some of the best-known brands and companies in the vertical are also mixed with the voices of reform advocates to tell the gripping stories that played around the edges of mainstream news, if not the new industry press all year. by Johann Hari In his New York Times best-selling book Chasing the Scream, Hari reveals his discoveries entirely through the stories of people across the world whose lives have been transformed by this war. They range from a transsexual crack dealer in Brooklyn searching for her mother, to a teenage hit-man in Mexico searching for a way out. It begins with Hari’s discovery that at the birth of the drug war, Billie Holiday was stalked and killed by the man who launched this crusade – while it ends with the story of a brave doctor who has led his country to decriminalize every drug, from cannabis to crack, with remarkable results.